Most basic needs of any human being are food, shelter and clothing. Of these three getting shelter especially in cities is the biggest problem. Even after so many years of independence of the country, she is still facing housing or shelter problem. Rapid multiplication in the urban population has even multiplied the problem. Actually rural population draining into cities is compounding the same problem. Since the demand is more and supply is less for houses, this leads to even further price rise and that is why poor get poorer and is not able to purchase houses in a good locality in a city which means along with housing problem, there is another problem of adequate housing facilities. Thus, there is a surplus of houses when compared with households but these houses are unfit to reside. In all this chaos, many people are left homeless as neither can they purchase costly houses nor they can pay high rents. Thus, they are left with only one choice to stay in houses unfit for them. 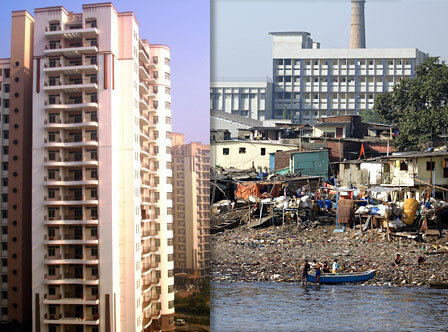 Some very poor people prefer to squat rather than even rent an accommodation, thus leading to the growth of slums. Current scenario says that in India 1 percent of population is without home. Approximately 60 percent of population is from rural India and nearly 40 percent is from urban India. In terms of housing units, the housing shortage is estimated to be 148.33 lakh houses. The housing shortage has increased @ 0.89 million houses per year. The total rural housing shortage is estimated at almost 48 percent and of these 90 percent of the total population comes from below poverty line families. It is a matter of grave concern that even in advanced states like Gujarat and Maharashtra the extent of housing shortage is still very serious. There are numerous reasons or causes for homelessness of people of India. First reason is shortage of land. If there is not enough space or land in the country then there is no option left with people to choose. Thus, they are sleeping on the footpath. Increasing population day by day is another reason as demand is more and supply is less and leads to rising of cost of lands. Also there is no definite and proper housing program. Non-availability of low cost housing ideas to be built for village or rural areas, and lack of proper investment in building materials are other reasons that contribute to the problem. Also, poverty has big hand as a cause of homelessness of people. People migrate from rural areas that is, villages to urban areas to earn their livelihood but they do not know they will stuck in a worse condition as they would not even get a place to live along with their families. All the economy evils are interconnected and interrelated somewhere or the other. Though economy is growing but rich is becoming richer and poor is becoming poorer. The Government of India is trying it’s best to provide shelter to the people of India. They have come up with many schemes like subsidized industrial housing scheme, LIG housing schemes, Slum clearance and improvement scheme, Middle-income group housing scheme, Rental housing schemes and Land acquisition and development scheme. One program is Large Brick Making Program that involves setting up of about 100 giant size mechanized brick making plants each producing 1, 00,000 to 200,000 bricks per day that would help in making houses. Low cost cement plants are set up for conventional construction of buildings as well as new type of brick or block making Blocks like lime-concrete, Aerated concrete, foam concrete are new concepts of brick making where clay is not available. Large Size Float Glass Plants are specifically set up for building and housing projects. These are automatic or semiautomatic plants which increases efficiency that is, reduces cost and gives timely work or rather work before time. Looking after mud houses for the reason cheap housing several authorities will be provided replacing with brick walls with roofs made of clay tiles. Non-Governmental Organizations also show a lot of interest and take active part in making and maintain housing facilities as they are build and running with this purpose only. They help people below poverty line to secure jobs and at least get a house in slums rather than sleeping at footpaths. A proper and definite housing program should be designed by the Government of India so that at least after twenty years from now we can have all sort of housing and housing facilities with proper dwelling conditions like sanitation, basic needs like water, electricity and which doesn’t convert into room of diseases, allergies or infections and may not stay in dilapidated, thatched, straw made, bamboo made, made of leaves and bamboos.